HJ: There are few things as powerful as your breath for regulating your consciousness and emotional state. 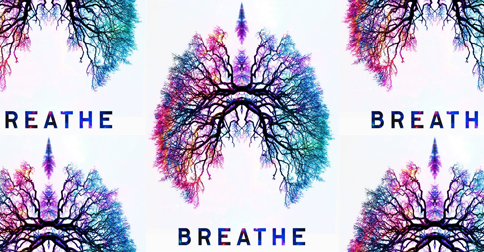 These 5 powerful ancient breathing practices will bring you back into a state of harmony, balance and peace remarkably quickly. One of the exercises I do at work to release stress is to take regular breaks. While there are many places to stretch out and relax, I like the hammock. Time in the hammock allows for insights and allows you to rest in the images of your resolution. The relaxing hammock practice of stillness is perfect, as it nestles you in nature surrounded by beauty and connects you to that quiet source of inner wisdom. Relaxation puts you in a receptive mode. Voilà! Inspiration arrives. Whether or not you have a hammock handy at work or home, here are 5 wonderful breathing exercises to help you relax from my book, The Way of The Hammock. • Find a place of quiet and silence in your hammock (or bed). • Lie down and get comfortable. • Open your jaw and make some fake yawns. • Allow the mind to wander and relax. • Let your eyes close and soften. • Relax and do some soft belly breathing. • Notice the rise and fall of the belly as you relax. • Let go of any tension in the body and worries in the mind. • Shift your focus onto your senses, feeling your body breathe. • Shift or stretch your body. • Shift from thinking to feeling or sensing. • Connect with the beauty of your breath. • Watch the wave of the breath. • Allow gravity to hold you as you relax deeply. Belly breathing is the first step to begin to relax the mind and body. The immediate benefits of this breathing are that it quiets the mind, reduces cravings, and relaxes the body by balancing the nervous system. The long-range benefits are greater emotional control, increased perceptual sensitivity, and increased mental clarity. Practice this exercise throughout your day for feeling your best. • Sit quietly and comfortably in a chair, settle in, and feel your pelvic bones. • Lengthen your spine. Lift, release, and relax your shoulders. • Feel your feet flat on the floor. • Place your hands on your belly. • Follow the rise and fall of the breath. • Let the belly rise on the in breath. • Let the belly fall on the out breath. • Allow the sides of your rib cage to expand and contract just like an accordion. • Let go of any tension on the out breath. • Remember that every out breath is an opportunity to let go and relax. • Enjoy the feeling of calm energy. Aware breathing builds on belly breathing and is so easy. We manage our energy through awareness. Having a breath-awareness practice hones the ability to reduce stress and annoying fear-based thinking. When we are centered during awareness, we are open and receptive. The benefits of an awareness-breathing practice are that it brings you into the present moment and relaxes you. Awareness breathing is helpful in conversations to increase your ability to be a deep listener, remain calm in heated situations, and enhance clarity and decision making. • Begin by bringing attention to the feeling of breath. • Feel the breath as it flows in and out of the nostrils. • Notice there is a slight touch of coolness on the inhalation. • Notice a slight touch of warmth on the exhalation. • Allow your breathing to be even and relaxed. • Stay with an even breath. • As your mind wanders, gently bring it back to the awareness of breathing. • Breathe comfortably in and out through the nostrils. • Throughout the practice of breathing, become aware of sensations in your body. • Stay with these observations with kindness and curiosity. • Notice your thoughts wander in, and come back to your breath. • Enjoy the sensation of breathing with awareness. We know that stretching helps reduce stress and tension in the body that builds up throughout the day. The benefits of yawn breathing include released muscle tension, increased oxygen, and supplying the body with more energy. Conscious yawning generates a deep sense of relaxation, calmness, and alertness. • Begin by taking some slow, deep breaths. • Relax the jaw by stretching your mouth open. • Do this a few times, and then make a long, sighing sound. • Make the action of yawning. After about four or five fake yawns, some real yawns will come. • Notice what happens in your mouth, throat, chest, and belly. • Release the tension in the jaw. Relax and loosen all the facial muscles. • Allow for more oxygen as you breathe. • Repeat for ten yawns. Pause in between for a few seconds. • Allow yourself to stretch your arms and shoulders as you continue yawning. • Now just relax into your natural breath. Everyone is more beautiful with a smile! One way to get grounded is to just smile and breathe. It is simple self-care. The mind-body connection is powerful, and a smile floods the body with chemicals and hormones of happiness as you crinkle your eyes and curl the corners of your lips upward. Smile breathing is a simple shifting of the body with a smile and breath focus. You can begin by allowing a smile to enter the mind creating an inner smile. Then allow the smile muscles to brighten as you continue to breathe. A small but powerful shift like this can be used anytime and anywhere. • For one minute, focus on gentle breathing. • Begin with observing where you feel the breath in the body. • As you inhale allow a smile to enter the mind—an inner smile. • Invite the smile muscles to brighten as you continue to breathe slowly. • You may find memories of generosity, laughter, and gratefulness follow the breath. • Drop the thoughts and stay with the feeling of smiling. • Allow the feelings of the smile to cascade throughout your body. • Finally, bring a smile to your face and continue feeling and observing. • The jaw naturally relaxes as you smile. • Breathe in calm, breathe out a smile. • Begin to notice the body and senses as you relax and smile. • Take this smile into the rest of your day.